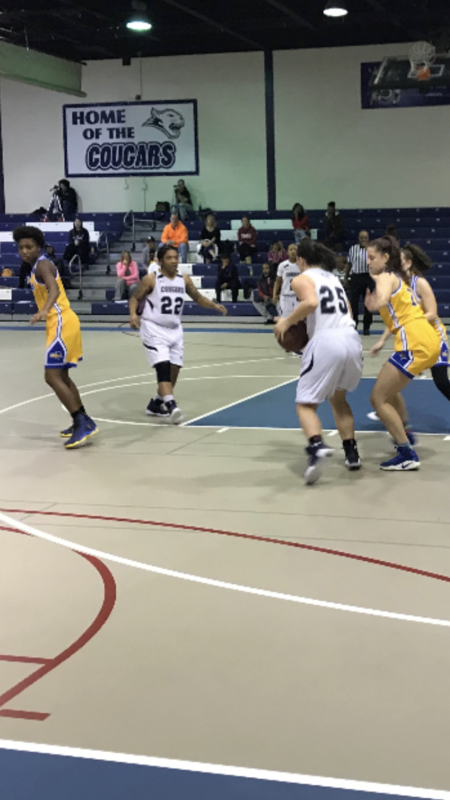 BLACKWOOD – The Camden County College women’s basketball team improved its record to 8-2 by beating rival Rowan College at Gloucester County 61-57 on Nov. 21. The game was packed to the doors with Cougar and Road Runner fans and the gym was electric when the tipoff took place. The scoring and momentum of the game went back and forth all 40 minutes. At halftime the Cougars trailed RCGC by five points but that did not stop the Cougars from playing their game. The Cougars finished the day as the number one team in the conference and a top five team in the region.